Among all the top Perth attractions, there is one that you simply can not miss – Rottnest Island. To make your vacation unforgettable, we have created the list of the 10 best things to do on Rottnest Island. Also known as “Rotto”, it is a paradise for those who love the beach, nature and the laid-back pace of the island. It is only a 90-minute ferry ride from Barrack Street Jetty in Perth that takes you to a different world of beautiful landscapes and breathtaking views. Rottnest beaches and bays are definitely number one on the list of best things to do on Rottnest Island. If you are looking for a place to swim, snorkel, dive, paddleboard or even surf, Rottnest Island has it all! White sand beaches with turquoise water and crystal clear bays are all yours, you can choose from all the water activities, or simply enjoy relaxing in the sun. Rottnest Island is great for families with kids and those who prefer a calm ocean. Among 20 bays and 63 beaches, you will certainly find something that suits you. Here are some of the must-sees: The Basin, Little Salmon Bay, Strickland Bay, Thomson Bay. 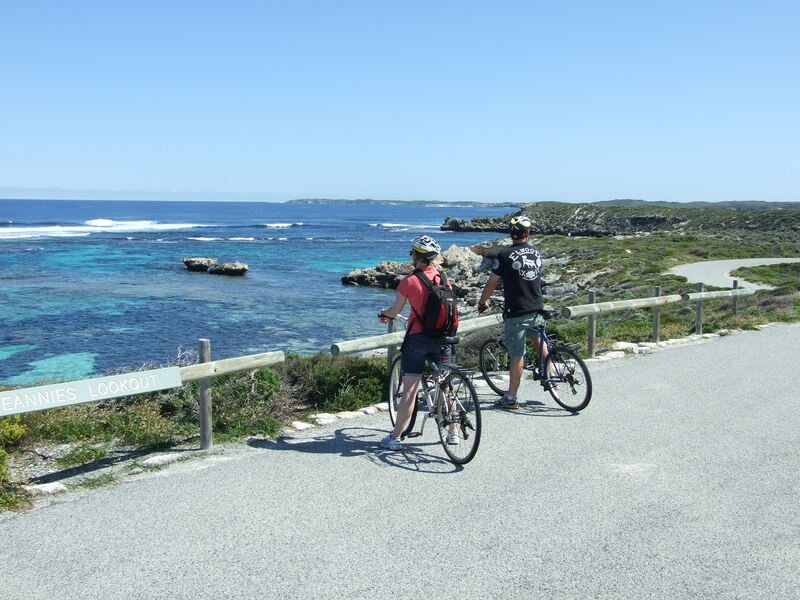 There are a few main trails on Rottnest Island that let you explore the island and get your daily exercise. While walking along the Bickley Bay, you will be able to learn more about the history of the region and see one of the landmarks – the Coastal Defence systems that date back to the World War Two. The Lakes Walk will take you through the lake systems of Rottnest Island, as they cover about 10% of the Rottnest Island area. For the really adventurous people, you can choose to experience the thrills of doing a Tandem Sky Dive. It is placed among the best things to do on Rottnest Island for a reason. You get to see the Rottnest Island and its stunning beaches from above, and land on the beach afterwards. If you still want to see the island from a bird’s eye view without jumping, consider booking a day tour by seaplane or helicopter. What a great gift idea for those who prefer experiences over material things! If you want to get away from all the hustle and bustle of the city, Rottnest Island is the place to go, as cars are not allowed here. The island is only 19 square kilometres, what could be a better way to explore it than cycling around? Whether you decide to see the main landmarks and pristine beaches with a tour that incudes bicycle hire or on your own, you will surely enjoy the ride! As an alternative, you could also join one of the Segway Tours around the island. Rottnest Island is also perfect if you are looking for a fishing adventure. Here you can find reef dwellers, seagrass inhabitants and migratory species. Join a fishing tour when visiting the island or go directly from Perth city. One of the special activities on Rottnest Island is crayfish diving, but keep in mind that it is only possible from mid-October to mid-April. If you take Salmon Bay Walk, you will be able to enjoy walking along the Indian Ocean on your way to the Wadjemup lighthouse. To see the best panoramic view and enjoy the scenary of the surrounding area from an elevated viewpoint, make sure to climb up the Wadjemup lighthouse! 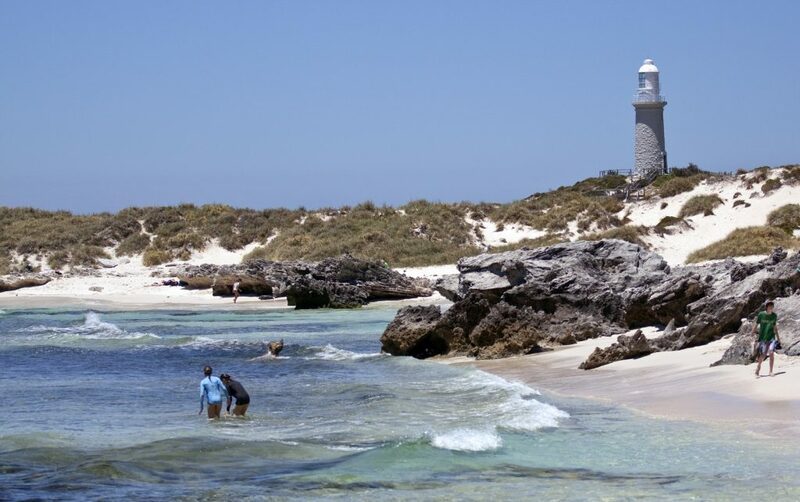 Of all the best things to do on Rottnest Island, climbing the Wadjemup Lighthouse is a must! The usual inhabitants of Rottnest Island are seals, dolphins, migrating whales, rare osprey and other wild birds. Here you can also encounter quakkas, the cutest marsupials. 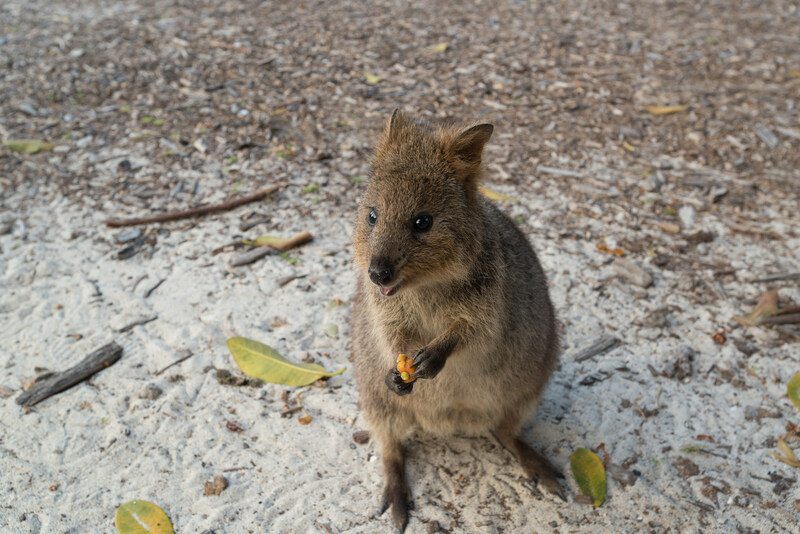 They only dwell in a few places on the planet, and Rottnest Island happens to be one of them! Encounter the curious quakkas and take one of them back home. Not the real one, of course! Your kids will certainly love the toy quakka as a souvenir from Western Australia. If your passion is golf, you will simply love the local golf courses and all the facilities they have to offer. All the equipment is available for hire at the clubhouse. If you call them in advance, the staff at the golf courses can even help you to organise a group golfing event and barbecue afterwards! If you are up for a fantastic voyage on Rottnest Island, hire a boat and spend a day with your family or friends out in the water. Encounter bottlenose dolphins, Australian sea lions, migrating whales and curious marine birds as you sail around the island. Rottnest Island is full of life and action, so make sure to check if there are any events happening on the island at the time of your trip. You may be pleasantly surprised, as they are constantly various events like Rottnest Movies, School Holidays activities, Halloween Carnivale, and the list goes on. 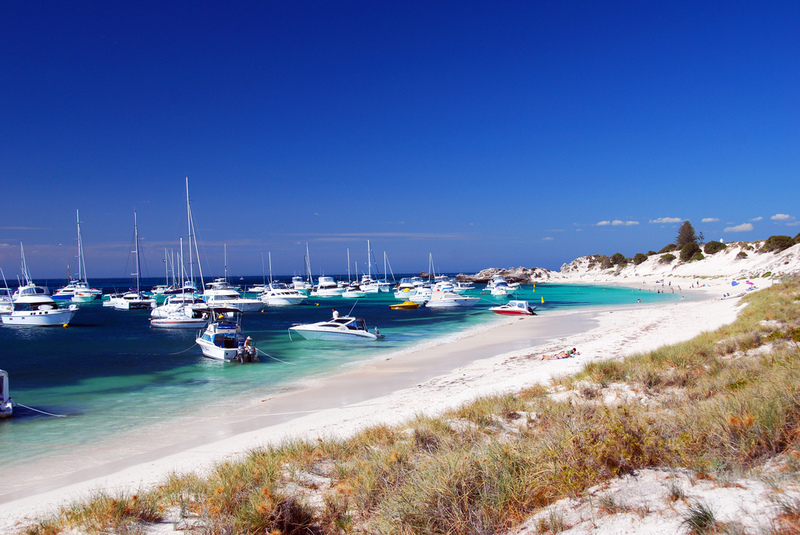 Rottnest Island should be on the top of your list when visiting Western Australia. Spend a few days on Rottnest Island, and you will cherish these memories for a lifetime. 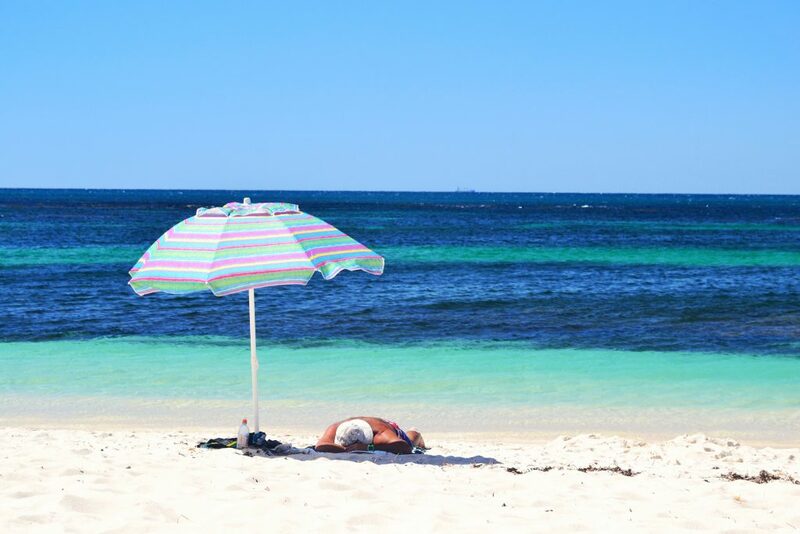 To make our list of the best things to do on Rottnest Island perfect, do not hesitate to share your ideas and comments below!